Product prices and availability are accurate as of 2019-03-12 01:48:52 EDT and are subject to change. Any price and availability information displayed on http://www.amazon.com/ at the time of purchase will apply to the purchase of this product. 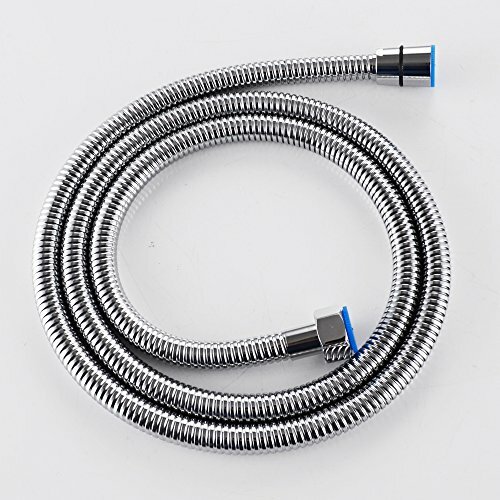 -Shower Hose : Double-interlock Stainless Steel exterior tubing, chrome plated. EDPM inner tubing. 1/2-Inch IPS connection size, female straight threads. 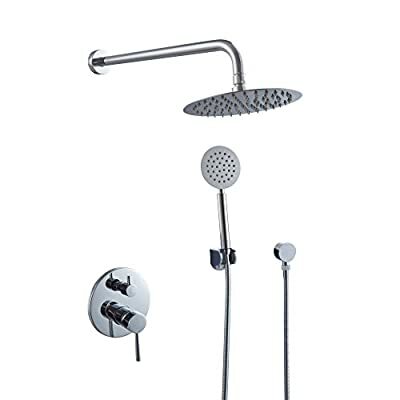 Includes faucet body, supply albow, shower hose, hand shower, overhead showerhead£¬shower arm and flange. 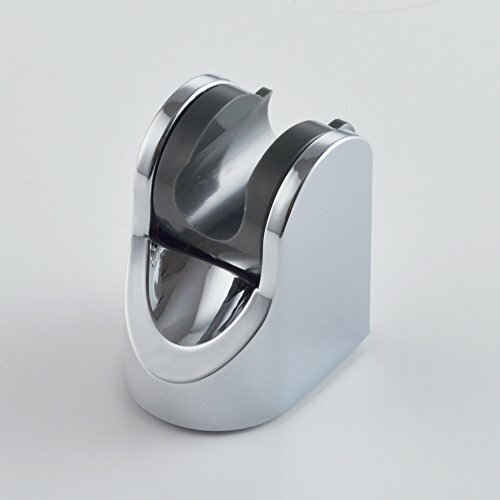 Stainless Steel faceplate, metal handle CERAMIC CARTRIDGE: Smooth, long lasting, drip-free operation ceramic disc cartridge. BEAUTIFUL FINISH: Multi-layer chrome finish, build to resist daily scratches, corrosions and tarnishing.